This might sound a bit crazy to you, but colours influence our mood and decision-making a lot more than you might expect them to. There’s an actual research subject known as colour psychology, which is looking into the effects of colours on us as humans. Many brands and designs have used colour theory to improve their presence and their likeability. From the entire spectrum of colours, I know that you will agree with me when I say that red is the most bold and powerful colour of all. Red signifies love, passion, courage, sensitivity, and radiance. So I’m going to say it: red is my favourite colour. Or at least for now, and that is because I am absolutely obsessed with it. I even got my hair coloured red (you can check it out on my Instagram @caughtinacuff). So I fed this obsession with my new red #OPPOF3 Diwali edition smartphone. Okay so I’m not just obsessed with its colours, but damn, the features are so good. 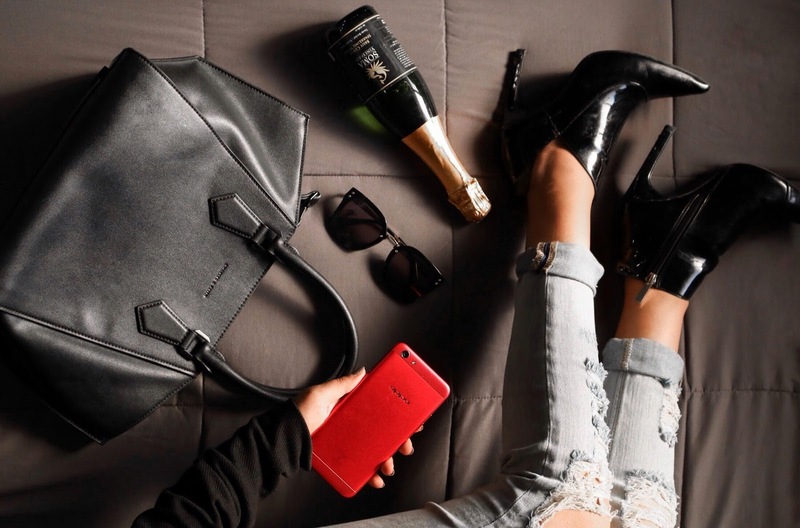 The phone is an absolute stunner, there’s no doubt about that – it works with all my outfits! I’ve been using the phone literally all day. I can’t be separated from my phone for even a moment, and even more so since I got the red OPPO F3 from their Diwali edition. They have designed the wallpaper and icons to correspond with the lights and the brightness that the festival of Diwali is known for. It is based on Android 6.0 and has a 13 megapixel rear camera! The battery life is something I will testify for, it has a 64 GB memory, and as if it wasn’t amazing enough, let me tell you about the Selfie Expert camera. It has a dual selfie camera, which is the best thing my selfies could’ve asked for. That is like my first parameter when I’m buying a new phone, because I click a lot of pictures and selfies and I would obviously want them to look as best as they can. The phone has a selection of modes for solo pictures and group pictures, so that you can get that perfect Diwali shot with you and your loved ones. I know that the OPPO F3 comes in other colours, too, but if you’re looking to make a bold statement and be stylish, gift yourself some love by getting the red OPPO F3 Diwali edition, because this phone gets a BIG thumbs up from me!